Fantastic Home In The Heart Of Beaconsfield Village. 1/2 Blk From Queen, Steps To The Drake But A Quiet Oasis W/Beautiful Garden. Currently 2 Vacant Apartments; 2 Bdrm Main Flr And 1 Bdrm 2nd Flr. Easily Converted Back To Single Family Or Add A Bsmt Apt. Bsmt Has Separate Entrance. Attic Has Good Height For Possible 3rd Storey. Main Flr Modern Kit And Reno’d 3 Pc Bath. Upper: 4 Pc W/ Clawfoot Tub. Seller Does Not Warrant Retrofit Status Of Apts. Extras: Washer, Dryer, Two Stoves, Two Fridges, Dishwasher, Microwave, 2 Window Air Conditioners, All Electric Light Fixtures, All Fans (4), Modular Wardrobe Unit In Main Floor Bedroom. 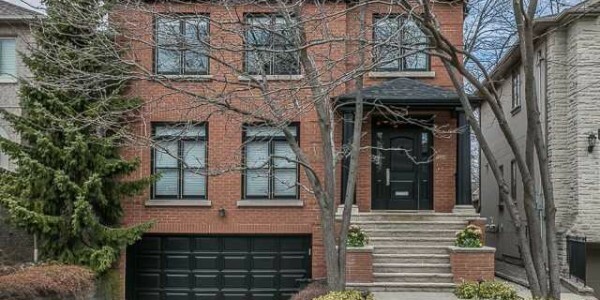 Contemporary, Custom Family Home In Desirable Bedford Park Neighborhood. Generous Principal Rooms, Bright And Airy Throughout. “Cook’s” Kitchen With Breakfast ..
Kelly Driscoll is a licensed sales representative working with Royal Lepage R.E.S./ Johnston and Daniel Division.